One of my favorite writers, the lovely JUNE KEARNS. (Thank you June, and please drop me a note to let me know where to send your scarf.) June’s wonderful romances are available here. Towel Elephant Head or Towel Swan? The votes are in! My apologies for delays in announcing the winner of my towel animal survey. Personally, I consider myself the winner because Team Swan held a clear majority. However, I also promised to draw a prize winner from those who voted for the winning team. Only… I couldn’t. Apparently, the high-tech folks at WordPress are keeping actual voters a deep secret. So I took the names of everyone who stopped by, commented, or ‘liked’ the post and used the Random Name Picker to draw one name. Thank you SO much to the 452 people who weighed in on this important issue. 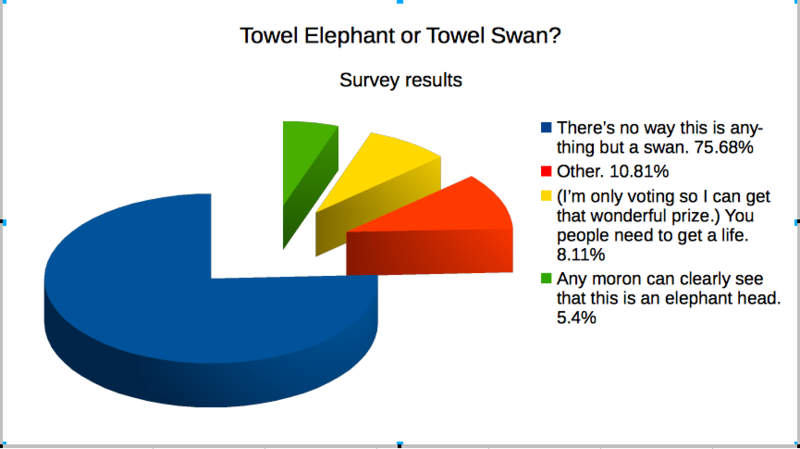 Our opinions might not sway the outcome of Brexit or building The Wall, but we’ve nailed the heck out of whether it’s a towel swan or elephant. And now, back to our regularly scheduled blogging. Thanks to a general strike in Odisha (as I mentioned in my last travel post here), India was closed the day we went to Puri. Most businesses were shut, and even India’s soundtrack—the nonstop cacophony of car horns—was eerily silent as our driver collected us in the pre-dawn quiet. We made the one-hour drive from Konark to Puri in (for us) a record three hours—before strike-enforcers could force us to get off the roads—so it was still morning when we stood before the reception desk at Puri’s Sterling Resort. From the flower-petal littered frontage which was even now being replaced with a different color scheme in bunting and flowers, we could tell that one giant wedding party would be leaving even as another replaced it. Wedding guests—both going and coming—took precedence, of course, so we were asked to wait. 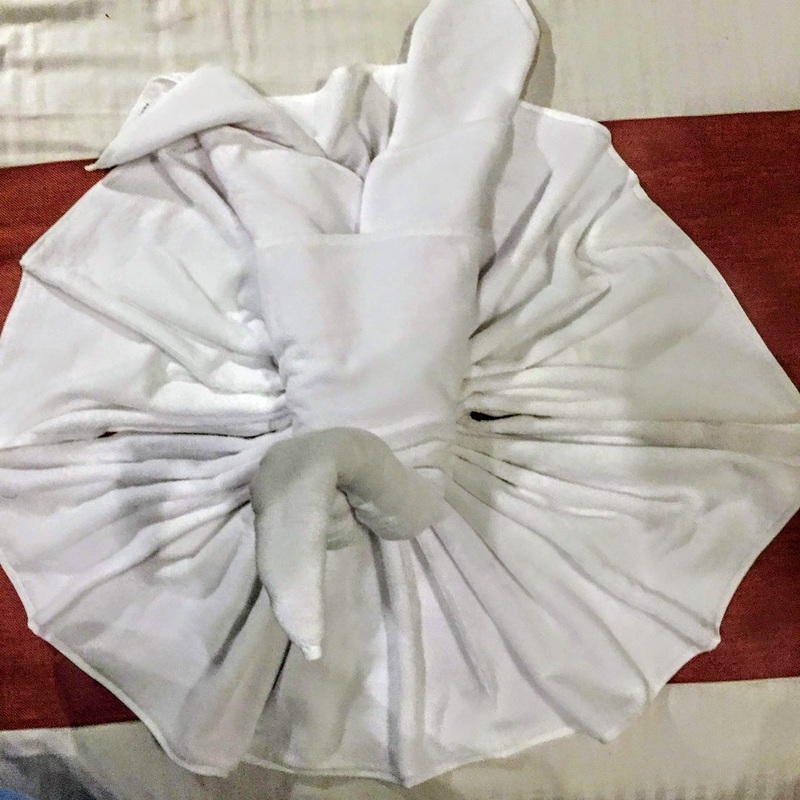 Hotel staff spent hours decorating the wedding night room—including floral monograms on bed and floor—across the hall from us in Patan Gujarat. The groom arrives like a prince in a neon-Cinderella wedding fantasy. With an average of thirty thousand weddings per day, the Indian wedding industry amounts to over $50-billion (USD) annually, making the industry virtually recession proof. As a rule of thumb, Indian families can expect to spend between a year’s income and twenty-percent of the groom’s expected lifetime earnings on the clothes, venue, entertainment, food, and related events. (HuffPost Insight, 17/2/2017) Drive through even the smallest village, and you’ll pass lavishly decorated wedding pavilions. Naturally, destination weddings are the bread and butter of desirable resort locations, and the Sterling Resort in Puri with its own beach frontage on the Bay of Bengal was clearly a plum. So when we were told that our check-in would be delayed by arrival and departure of busloads of wedding guests, Janine and I opted to wait by the massive pool and enjoy all the gorgeous wedding outfits while Jaya wandered off to look for birds. And the India we thought we knew changed. A small group of wedding guests—beautifully dressed young men and women—approached us. We expected them to ask for the usual, “Selfie, Madam?” Instead, they grabbed Janine’s hat and sunglasses, and passed them around to each other, posing for duck-face selfies and proclaiming, “I foreigner!” I was fending off grabs for my hat and shades, when an older guest spoke sharply and the group headed off, still smirking. It made me stop and think about what else has changed just in the five years I’ve been visiting India. Here’s a (completely subjective and obviously incomplete) list. Trash. India’s got it. Lots. But this year we saw caravans of trucks and vans and auto rickshaws and even bikes piled to gravity-defying heights and heading, our driver told us, to massive for-profit recycling centers. Young volunteer trash collectors at Delhi’s India Gate monument. I was a young American girl when FLOTUS Lady Bird Johnson and SuperDog Lassie promoted Keep America Beautiful. American schools like mine indoctrinated their students against the evil Litterbug, and sent us home as tiny narcs ready to turn in parents for littering. 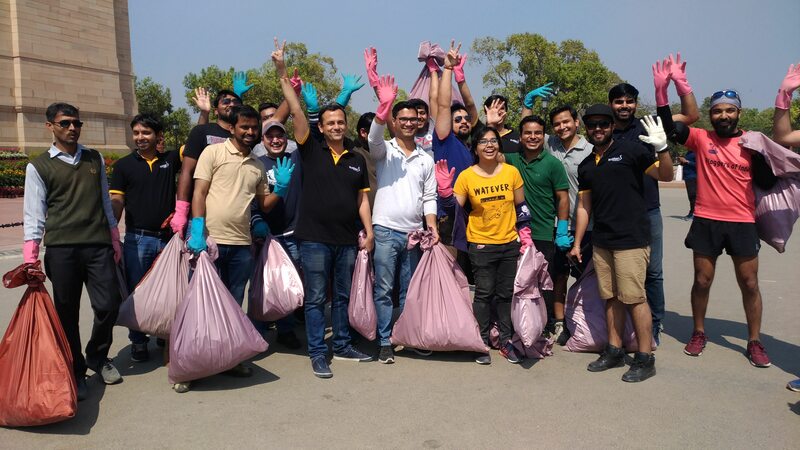 I can’t say whether Indian schools will get behind the movement, but this year we saw that people were aware of this issue—including this enthusiastic rubber-glove wielding group of trash gatherers. Toilets: As a chubby senior tourist ill-equipped for the athletic squatting of the basic hole-in-the-floor facility, my earlier India trips frequently revolved around desperate searches for that most elusive of goals: the western toilet. But since PM Narendra Modi announced the Clean India initiative in 2014, a staggering 80-million plus new toilets have been built. And an equally uphill social experiment to convince people that indoor toilets are sanitary and desirable is also underway. Brand new first-ever toilets debut! (brick building at left rear), Chilika Lake, Odisha. When we were guests of the Wetlands Research and Training Center at Chilika Lake in Odisha, we were invited to a special event. 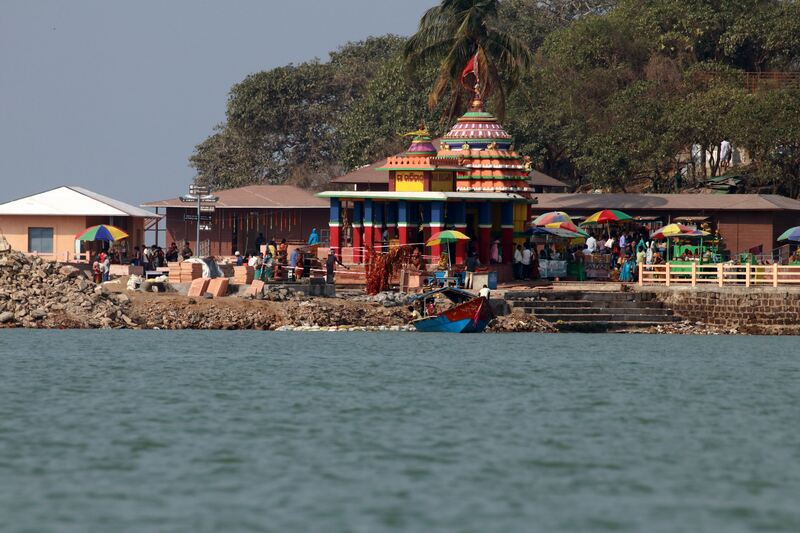 A small island in the lake is home to a tiny but important Kaali Temple, visited daily by boatloads of pilgrims. Just the day before, the research facility had built the island’s first toilet. 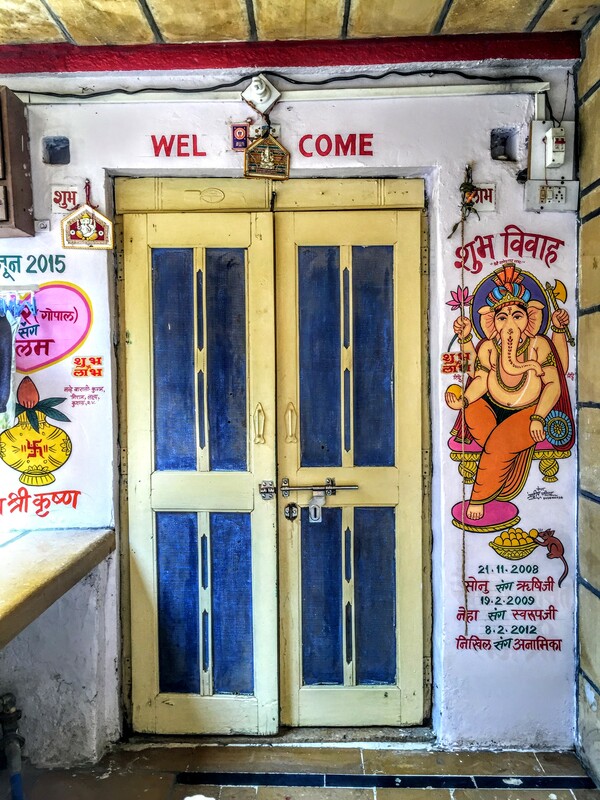 Streams of flowers hung from the beams, and two young men sat at the entrance asking us to sign the new toilet’s visitors book—and, of course, make a small monetary donation just because… this is still India, after all. 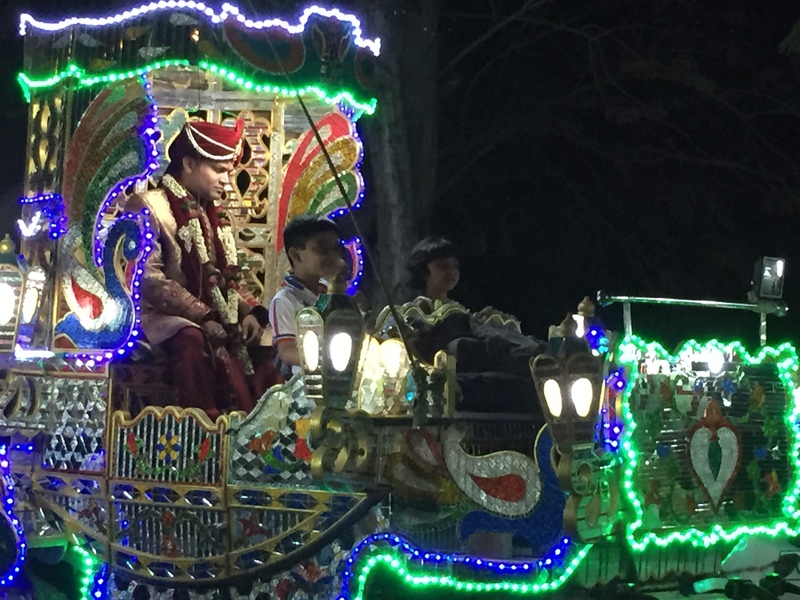 Our driver nodded emphatically, but we must have looked blank, so Jaya continued, “You can just ask directions. People in India are very kind.” But on this trip, every car we entered navigated by satellite. 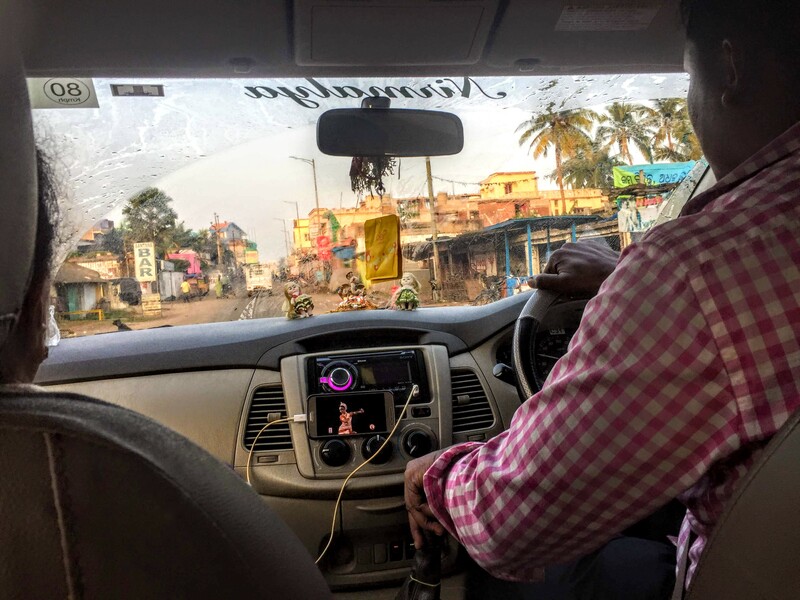 On this trip, our driver navigated with guidance (in Hindi) from his SatNav—with the occasional break to show a video of local classical dance forms. Transport: within the cities, the most economical transport was always auto (and occasionally human) powered rickshaw. But this trip, that was challenged by the explosion of readily available Uber-like OLA cars, whose drivers identified us via a one-time texted password (OTP). 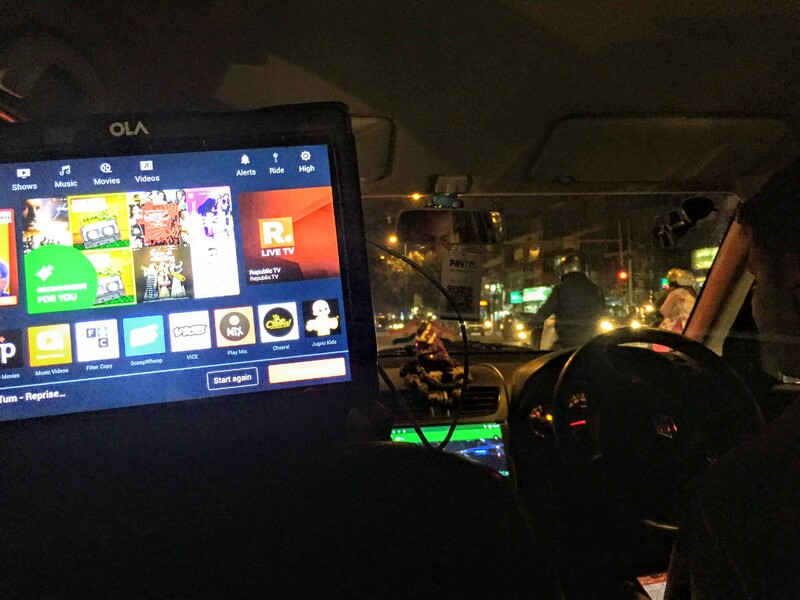 The privately-owned OLA vehicles sported a passenger seat TV like upscale cabs in New York and London, although in at least one of the OLAs we booked, there wasn’t any room for luggage because the dickie—trunk in America/ boot in UK—was completely filled with its propane fuel tanks. Technology. India adores technology, and is racing flat out for tech of every sort. Our first trip to India was an unending scramble to find affordable solutions for cellphones and communication. Just five years later, Jaya handed me a phone SIM card with a virtually bottomless data connection—and all at a fraction of what it would cost back home. 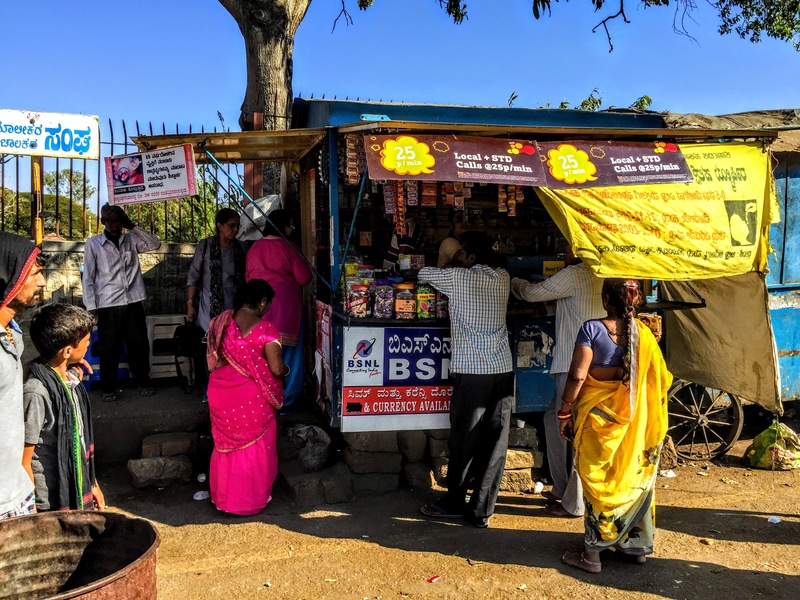 You can still renew your phone minutes and get coconut water at the same time at roadside stands such as this one in Halebeedu, Karnataka, India. What hasn’t changed? Friendly cows still roam the streets, men casually urinate at the side of the road, roads are built by women carrying trays of stone on their heads, the food is beyond fabulous, history is referenced in millenia, art and architecture takes my breath away, and the unceasing acts of incredible generosity and kindness from Indian strangers bring tears to my eyes. Another thing that hasn’t changed? WiFi is still ridiculously difficult to access in most hotels, and a signal is (with surprising frequency) only accessible via the most inaccessible place in the room. Change is inevitable but it is good to see that the important things like kindness to strangers is still there. (for the most part) Glad to see you found the best place to access wifi in your room. I love your adventures, the good and the bad! Actually, it’s the worst adventures that give the best memories! Congratulations to June for being the winner. Let’s hope the swans and elephants will not be among the sweeping changes in the country. Not the swans and elephants! I’m using your blogs to persuade DH to visit India on the way back to Spain from Australia next year. I’ve got him as far as Sri Lanka, just a bit further I’m urging. Sure we can keep the costs down. Ah, thank you so much Barb. 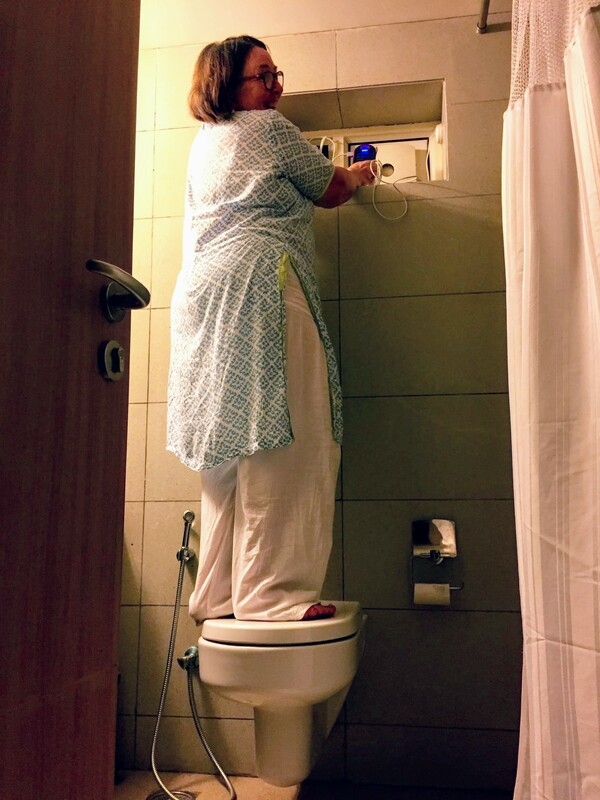 (How fab to be included in your wonderful posts – especially one featuring a pic of you standing on the loo!! There’s no loo I wouldn’t stand on for you June! 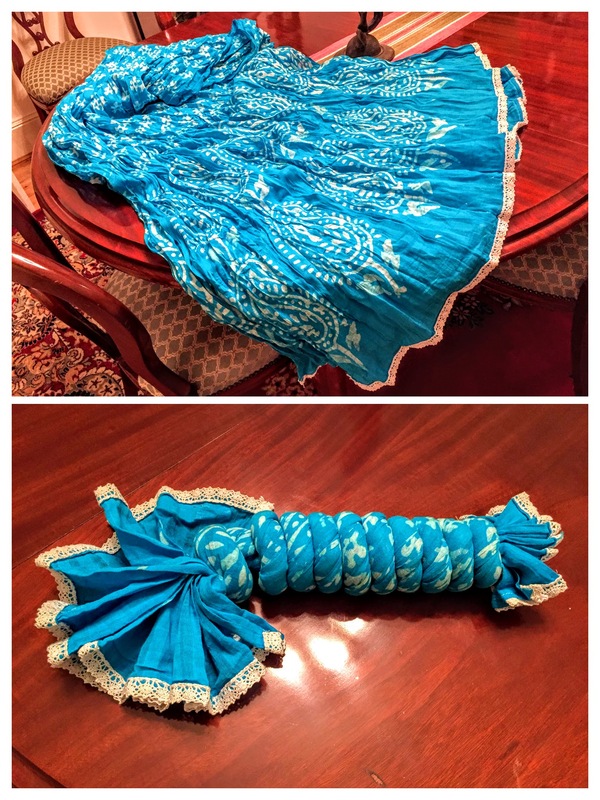 Salwar-kamiz can be mixed & matched now? !!! Absolutely! Even worn with jeans and even (are you sitting down) jeggings!